What type of evidence should be presented or admitted? People often comment that one cannot prove biblical events scientifically. But that is not the only kind of evidence to be presented. Operational Scientific Method and Legal-historical Method. Geisler and Brooks discuss two methods of proof commonly used today to establish truth. Failure to understand the strengths and weaknesses of each method of proof has led many to take the position that matters of religion cannot be proven and that faith is therefore purely subjective, a blind leap. Clearly this is not the case, so the proper method of establishing the facts should be utilized. Definition – showing something is true by repeating the event in the presence of the individual questioning the fact. •The observation is duplicated in a controlled environment. •Data are drawn from the observations. •The Hypothesis is empirically verified or disproved. 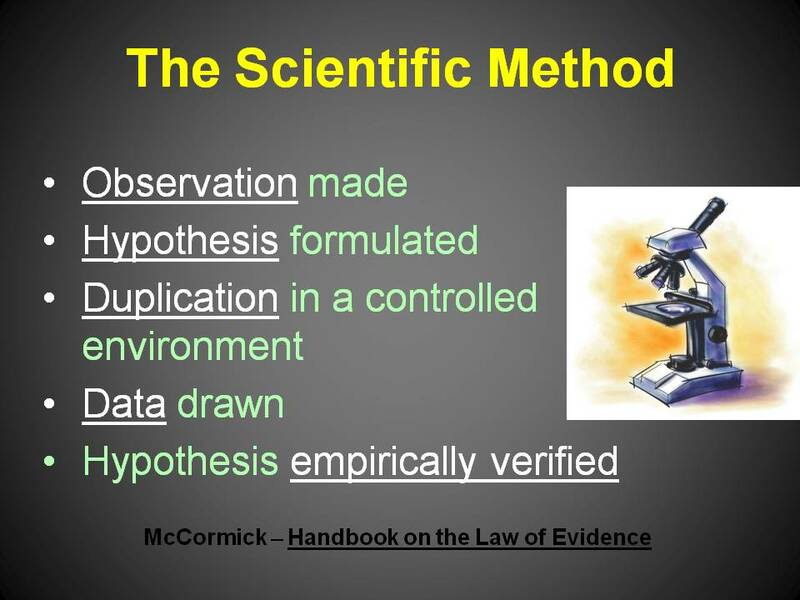 Most people are familiar with the term “scientific method” and assume that it is through the use of this method that modern people establish what is true. If it can be proven scientifically, it is true; if it cannot be proven scientifically, it is not true, or at the very least is highly suspect. However, the scientific method has very limited application and can only be used to prove something that is repeatable. And we need to distinguish between operational science, as defined above; origin science, which attempts to explain how the universe began, life started, etc. ; and forensic science, discussed below. Historical events cannot be repeated, so they cannot be proven by operational science. This is a great summary of the issue. I’ve heard it said that even scientists often forget that operational science has limits of application.